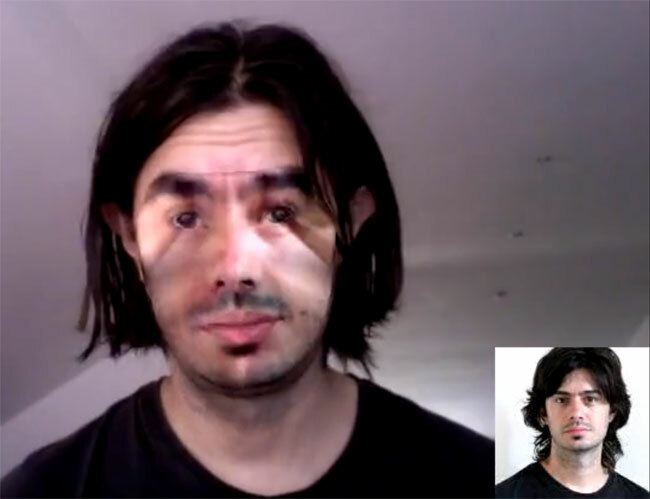 Artist Arturo Castro has used realtime face cloning applications to create a freaky video entitled “Faces.” Castro has used a realtime face substitution footage made using Kyle McDonald’s ofxFacetracker + Jason Saragih’s facetracker library to create some very strange images of him wearing other peoples faces. Castro got the inspiration for his video from the thought of grabbing someone else face from a camera, which puts a whole new perspective on identity theft, watch the amazing video after the jump. Castor has also tried using cartoon faces but says that these don’t quite work as well as the images of people he has used in the video.